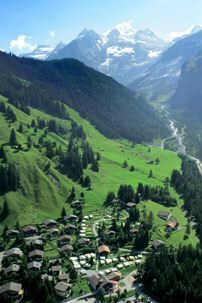 Each hour from Bern or Brig. 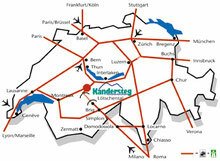 When you arrive in Kandersteg, you can take the local bus or go straight on foot. 25 km of good main roads to Kandersteg. In the village, follow the camping signpost to the left.